Home » Nooze » Losing? Change the Rules! Under normal operation having two houses of Congress can be tricky enough. It’s pretty common for a bill to pass the House and then go on to the Senate only to be amended – and thus be different from the House bill. Both bodies have to pass the same bill in order for it to move on to the President, so there is a little bit of a safety valve built into the House rules. Rule XXII Clause 4 allows any member of the House to put the bill without amendments onto the floor for a vote. This little tidbit is there to clear away amendments the Senate stripped out and let members vote on a clean bill, moving things along. Any motion pursuant to clause 4 of rule XXII relating to House Joint Resolution 59 may be offered only by the Majority Leader or his designee. And so, unlike any other bill that doesn’t quite match between the two houses, government funding cannot be brought onto the floor by anyone other than Cantor. It’s entirely up to him as to when the bill would even be considered. This holds despite the fact that CNN has found more than 19 Republicans who have stated publicly that they would vote for the Senate Bill and thus re-open the government – and combined with all 200 Democrats means that such a bill would indeed pass. But it’s not allowed to come up, at least not by any normal means. This comes as polling shows that the shutdown has been a terrible disaster for the Republican Party, polling a net favorable rating lower than anyone has ever seen for a political party. And we haven’t even started to consider the debt ceiling and possible default. The leadership apparently knew this might happen but made sure that a revolt by moderates was not possible, keeping power in their own hands. 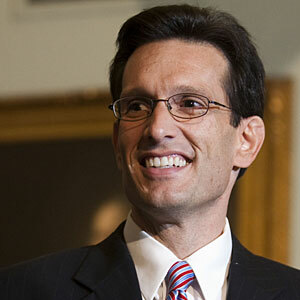 Only Eric Cantor has the power to put funding to a vote that it would surely pass. How long will the shutdown continue? It’s impossible to say given that it’s up to one person to put an end to it. To make a prediction, we’d have to read Rep. Cantor’s mind and know just how much he’s willing to let this play out. As one of the architects of this strategy and a man not known for compromise and negotiation, we can probably assume that there isn’t going to be a vote on this bill for a while. Meanwhile, the normal function of the Federal Government rests entirely in the hands of one man whom many people have probably never heard of. The US House has rules to prevent things from getting too bottled up, but they were changed to keep this bill from advancing. How bad can this situation get? There’s a good chance we haven’t seen anything yet. It may go on for a while longer before a majority of the House is allowed to weigh in and put a stop to it. Our government is not only dysfunctional, it’s dysfunctional entirely by design, with the shutdown carefully planned for months. And this is still all about the Republican Party desperately falling into something like a murder-suicide action – with the gun pointed straight at the entire nation. This entry was posted in Nooze, Politics and tagged Cantor, house, lunacy, Parlimentary Procedure, republicans, senate, shutdown. Bookmark the permalink. Unbelievable! They didn’t even trust this power to speaker Boehner! Just when it seems like the shutdown can’t get any worse they find a way. How did this get past the press in the first place? Why did I first read about it here? That is correct, they kept the power with Cantor. This is a bit of a coup for the Tea Party by any measure. And why didn’t this story get out? I don’t know, but I’m also curious how they got this through the House in the first place. Suggesting that Republican action is like a murder suicide is repugnant. Barataria has hit an all-time low. You are a fraud, Mr. Hare. I thought Barataria was interested in civility. I can’t think of anything else to call it. A default would be a terrible disaster and to even threaten it is utterly irresponsible. If you don’t like calling this for what it is then please go away. You hit the nail right on the head, Erik. Look at their polling go right down to the dumps. Do they think they are heroes? How delusional. so are we finding out who the real masters are yet? No, I think this is a revolt against big business and Wall Street, too. They can’t be happy with the threat of default and this action only shows how hard the position is. We have only a few days before this gets very bad, and that is not good for anyone with a lot of money. I’ll get personal before I go away, if you keep at it. Republicans are just people with different ideas than you. The impasse is just about different goals about policy and budget and tactics that you don’t like. Your tactic of likening Republicans to murderers is despicable. You can go away. You write Barataria just to prove that you are political and to wield power. You try to be holier than thou and write about Trayvon Martin, yet you can’t even articulate what it is to be white. To be white is to have an expensive house and then falsely rail about socialized risk. You benefited from socialized risk, Mr. Hare. You didn’t refuse it! Everyone knows you are an insider in local politics. But I won’t believe your spin when it comes through treating Republicans with disrespect, calling us names. The idea that we know for certain that a clean CR would pass the House is ludicrous. If a recent count shows that it is close, we don’t know that a few Republicans would not defect. 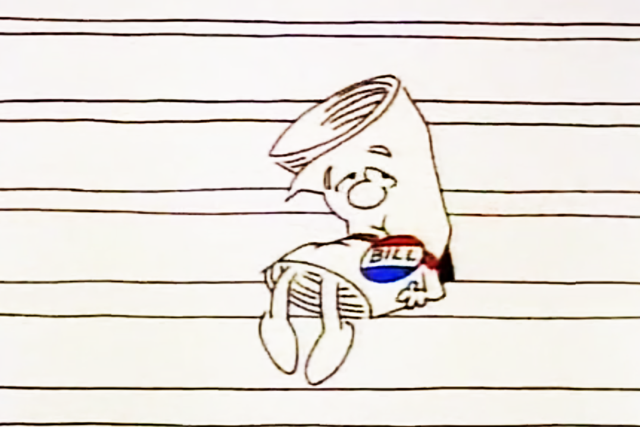 To vote on budget bill that would have so few Republican votes is silly. The Republicans have the majority and they want a bill that could garner a majority of Republican votes. Speaker Boehner doesn’t strategize for the 200 Democrats. That’s not how it works. I will admit that the President does not have an agenda together and that this is a serious problem. However – the House had many opportunities to pass an actual budget and they did not – and here we are in crisis mode. And one man determines what happens? That’s ludicrous. You know they say, take out Hugo or take out Castro. They said take out Sadam Hussein. Why not take out Cantor. What a little Nazi!!! It’s like Hitler all over again. Just look out for any Kaiser Wilhelm you can find. I would be much happier if people didn’t talk about “taking out” people on my blog. Thanks. I realize that I upped the ante a bit by saying that they have a gun pointed at us, and I do mean that. But pointing a gun at a particular person seems like a step further. What a sad situation. I am just glad it is over.